If you are forced to leave your car inactive for a long period of time, it is necessary to do a few things to ensure it is in good working order when you return. What you need to do varies depending on how long you intend on leaving the car unused. Below, we have three different sections: Less than a month, 1-3 months and over 3 months. Unless you are aware of the radio code, never remove a battery lead. Long-term battery disconnection can seriously impact the function of on-board computers. Contact the manufacturer or look at your handbook if this happens. Never allow plastic covers to stay on the paintwork as this can cause damage. Write down what you have done to the car and leave a note inside as a reminder when you go to drive it again. A commercial storage company is probably the best option for long-term storage or if you own a high value vehicle. If you have a friend who can drive, perhaps you can ask them to drive the vehicle a couple of times a month. Make sure tax, insurance and MOT are in order if you elect to do this. You should consider purchasing a ‘smart charger’ as it will only charge the battery as and when the vehicle needs it. You can then leave the smart charger connected in the knowledge it will not overcharge your car. Be sure to have an expert check the anti-freeze concentration; this is essential during the colder times of the year. If you are parked off-road, chock the wheels securely and keep the handbrake on. If the car is in safe and secure storage, leave the windows slightly open for the purposes of ventilation. Spray unpainted metal parts of the vehicle with WD40 to reduce the risk of corrosion but avoid spraying trim or rubber. Give the vehicle a thorough cleaning and get rid of mud beneath the wheel arches with a hose. Ensure the vehicle is dry when stored and give it a polish as well. Remove carpets and dry them thoroughly if you believe dampness is a problem. Make sure the drain holes in sills, bulkhead/heater and doors are unblocked. Ensure the wiper arm blades do not touch the glass. 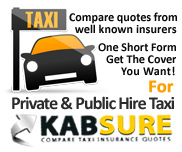 Contact your insurer and see if you can get a reduction on your quote. This will probably only be a possibility with third party fire & theft. Always make sure there is a lot of ventilation if your car is in storage. A dehumidifier is another option and might be a better choice than ventilation as long as it is done in a sealed storage area. Bear in mind a dehumidifier will not work below 4 degrees Celsius. You don’t have to worry about corrosion in cold weather as long as your vehicle is dry and doesn’t have any road salt. Have an ‘oil and filter’ service carried out. Auxiliary drive belts; air conditioning, power steering and alternator, should be slackened but do not do the same with your camshaft drive belt. Find a good lock oil and lubricate the vehicle’s locks. Use WD40 under the bonnet, under the wings and metal in and around the boot and the battery box. Keep the wheels off the ground and ensure the tyres are not stressed by raising the vehicle onto stands or blocks. Failing that, remove the wheels and keep them flat in a cool and dark place. Typically, you can expect petrol to remain fresh in any stored container for around 12 months but if it is exposed to the atmosphere it can begin degrading in 4 weeks. This makes starting your vehicle harder because the fuel’s octane is lowered due to the more volatile fractions evaporating. It will also oxidise and the result is varnish deposits and gum on your fuel system’s components. Diesel will also be okay if stored in a container for 12 months but over longer periods of time it too will oxidise and this leads to problems like those described above; the result is blocked filters when you try to run the engine again. Remember that diesel bought in winter will have protection against temperatures as low as -15 Celsius whereas diesel bought in summer will not have this protection. It is always best to have a full tank of fuel if you are not using the vehicle for more than a month because it reduces the amount of space water has to condense. Condensation in the fuel tank can cause corrosion and this could damage the lining of the tank. In rare cases, phase separation can cause water and Ethanol to separate and fall to the bottom of the tank. It can also lead to fungal and bacterial growth in the diesel; you may have to completely empty and clean the tank to get rid of it. A fuel stabiliser additive is a good choice if your vehicle is being stored for a long time. Stabilisers are common in the gardening world to keep machinery that isn’t being used for long periods in good shape. Check the pressure of the tyres. Make sure nothing is nesting beneath the bonnet and check for signs of anything chewing through the pipes or hoses. If you loosened any drive belts, tighten them. Don’t start the car until all fluid levels have been checked. If you’re lucky, there won’t be too much stale fuel. You need fresh fuel to get to the engine and start the vehicle. Take out the plugs and turn over the engine to reduce the engine’s load as the oil is being redistributed. Check all brake operation (this includes the handbrake) as the brakes may be seized if you left the handbrake on in storage. Engage a gear and drive slowly or else you may have to dismantle. Once you get the get up and running, go to a garage for a full service. You can’t drive on the motorway if your vehicle does not have an MOT unless you are driving it on a prior arrangement to a garage for an MOT. If you need the car serviced and it doesn’t have an MOT, you can only move it via a trailer or truck. « Trouble With Your Brakes?